Italy looks a country where the only real interest from here on is in betting on matches: even at just [1.62], over 2.5 goals, as fluent Juventus resume against leaky Sampdoria, looks tempting. There has been a change in football over the past four or five years. Every bright young side, it seems, every bright young manager, works to a similar theory: dominate possession, both by ball retention with short passes and by winning the ball back as quickly as possible, pressing high up the pitch. That was how Pep Guardiola's Barcelona played and how they play under Tito Vilanova. It's how Andre Villas-Boas's Porto played, how he tried to get his Chelsea to play and how his Tottenham are beginning to play. It's how Jurgen Klopp's Borussia Dortmund play. Bayern Munich, although not pressing to anything like the same extent, also prioritise possession, while in England both Manchester United and Manchester City seem to have self-consciously adopted a more passing-based approach over the few months - which is why Sir Alex Ferguson seems so happy to go on without a dynamic central midfielder and, presumably, why Nigel De Jong was sold and Joleon Lescott has found himself on the sidelines at City. 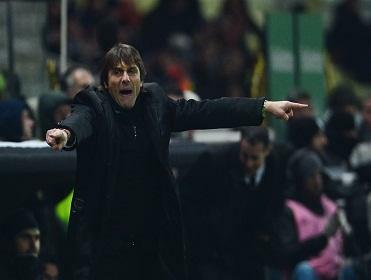 Most striking, though, is the fact that the pressing style has been taken up by Antonio Conte's Juventus. Historically, Italy has never had much truck with pressing. After Brazil had won the World Cup in 1958 by playing a radical 4-2-4 formation, the rest of the world had to adapt. Some, particularly in northern Europe, ended up playing a back four and pushing high up the pitch, playing an offside trap; others, particularly in southern Europe, opted for a libero sweeping behind the back line. In Italy the latter variant was far more popular, at least until Arrigo Sacchi arrived at Milan and imposed a 4-4-2 with hard pressing. His AC Milan team was one of the great teams, the last to retain the European Cup, but it's hard not to wonder whether their style would have been considered so radical anywhere other than Italy. Sacchi's success led to a partial acceptance of pressing but, while some, such as Gian Piero Gasperini continue to follow the pressing approach, Italy slowly fell back to the comforts of sitting deep. That fitted with the other prevalent trend in Italian football, which has been the distrust of width - Italian wingers are extremely rare. The preference is to pack the centre - something facilitated by deep-lying defences as it increases the effective playing area - which is why the stereotype of Italian football is of tactical battles fought out on the chessboard of central midfield. By a couple of years ago, the Italian default had become a narrow 4-3-1-2, the limitations of which against teams who attack with width was demonstrated by Internazionale's humiliation against Schalke 04 in the Champions League quarter-final and by Tottenham's success against both Milan clubs in the same competition. At the same time, Napoli and Udinese were showing in Serie A that playing a back three with wing-backs offered a way of getting width high up the pitch while retaining bodies in the centre. Last season, three quarters of all sides in Serie A played with a back three at least once, and Juve played with it as their preferred shape in the latter half of the season. But their back three is a little different from standard, because they combine it with a possession based game. Juventus's average possession this season is 58.8% - in England, only Manchester City and Liverpool control the ball more, in Germany only Bayern do and in Spain only Barcelona do. They're second in Italy in pass completion and have played 454 short passes per game, the highest tally by 39. The approach is clearly working. Juve are eight points clear at the top of the table and have a goal difference of +28; 14 of the 20 Serie A sides haven't even scored 28 goals yet this season. Little wonder they're as short as [1.21] to win the Scudetto. Marginally better value are Fiorentina in the handicap market. Starting with +32 they look almost certain to win but are [1.49]. Italy, though, looks a country where the only real interest from here on is in betting on matches: even at just [1.62], over 2.5 goals, as fluent Juventus resume against leaky Sampdoria, looks tempting. Spanish Football: Is Ronaldo's personal lust for honours hurting Real?